So begins Book II, articulating two of Bacon's central points about humans and the universe as a whole. Bacon's first central point relates human power to the bodies in the world. Nothing really exists except for individual bodies, Bacon reminds us (Book II, Aphorism 2); human power consists in creation—changing and rearranging bodies and letting nature (as the sum of all things acting lawfully) run its course. What Bacon is emphasizing here is that this creation is essentially producing a new nature or feature and adding it to a given body, such as hitting a piece of wood to give it a "flat" nature, or a person physically ingesting water in order to have a "quenched" nature. (Bacon uses "nature" in two senses, one meaning similar to what we mean by it: a lawful universe. The other meaning is synonymous with a property, characteristic, or feature of a given thing.) Producing a new nature and adding it to a given body is the aim of human power, and the transformation of bodies is the subordinate goal that must be accomplished in order to achieve this aim. But without a competent knowledge of the body that will be transformed or altered, no one can give a new nature to a given body, or successfully transfer that nature to a new body. Ignorance is impotence. What must precede the accomplishment of the aim of human power, then, is the attainment of the aim of human knowledge: to discover the form, or source of emanation, or true difference, of a given nature. And just as human power has a secondary task that must be accomplished in order to carry out its aim, the same point applies to human knowledge: to gain knowledge of the forms, we must discover the causes which led to the form being emanated in things, causes which are in a latent [hidden] process of generation and motion, and we must discover the form which emanates from the latent configuration of bodies while at rest and not in motion. These notions, of form and of the latent processes and configurations of bodies, require much more attention. Next, it will be incredibly beneficial to compare Bacon's "form" with areas of Aristotle's philosophy. It was Aristotle who first held that certain, scientific knowledge is knowledge of causes, it is knowledge of the cause of a fact; Bacon notes that it is a, "correct proposition" that, "true knowledge is knowledge by causes." The important question is: what sort of cause is Bacon referring to? Bacon accepts Aristotle's division of the idea of "cause" into four types: the efficient, material, formal, and final. The material cause is what the thing in question is made out of, such as a table being composed of wood, a syllable being composed of letters, and a syllogism (a logical argument) being composed of premises. The efficient cause is what happens that brings something about, such as the Earth blocking out the light from the Sun, which brings about the eclipse of the moon; this is how most people understand cause and effect. The formal cause is the pattern or form which makes something the kind of thing it is, e.g. the blocking of light as such is the formal cause of eclipses universally, whether the source of light is the Sun or some other existent. Lastly, the final cause is the end-goal, purpose, or some thing's reason for being, and Aristotle held that it didn't require deliberation, consciousness, or intelligence; in his view, a plant seed had an end-goal of being a fully matured tree, a man had a plan and purpose for building a home, and a sailboat had the purpose of sailing. The "form" of a nature is its essential qualities or properties, its laws of actions, its source for being what it is. The form is an essential quality, not an accidental feature: if wetness is not always present on a bike, then it is not an essential quality, and therefore is not part of the form of a bike; neither is form derived from another attribute, as if it were an effect from some other cause. The form is one or more attributes which are independent and non-derived, and these attributes compose the essence of the thing, class, or quality. Bacon's view in Book II, Aphorism 4 is that given the form, the nature follows without fail. The form is always present when the nature is present, and implies the nature in all cases, and is constantly inherent in the nature. Likewise, if the form ceases to exist, the nature infallibly vanishes, it is always absent when the nature is absent; in fact, the form's disappearance implies the absence of the nature, and the form inheres in nothing else. Whenever we state the essence in words, we either list the essential qualities, or construct a definition for the word. The important thing we want to gain from the definition is the differentia, or specific difference, as it is often the case that we already know the genus (a general class or category) of the quality, and merely want to discover what distinguishes it from certain other terms that belong to the same genus. To reach a definition of a given nature, in other words a description of its form, one must discover another nature (the differentia) which is convertible with the given nature, but also a narrowing or limitation of a more general nature, which becomes the true genus. To define, say, an “ocean's tide,” you'd have to discover another nature that can be converted to the tide in one's thoughts, the differentia, and is also included under a general nature, say "motion," which then becomes the genus of your definition. In this way, we know what Bacon means by calling the form a "true specific difference" or differentia: the form is a nature that is a limitation on a more general nature or genus. Lastly, Bacon describes forms as the laws of action or of what constitutes a given nature. "For when I speak of Forms, I mean nothing more than those laws and determinations of absolute actuality, which govern and constitute any simple nature, as heat, light, weight, in every kind of matter and subject that is susceptible of them. Thus the Form of Heat or the Form of Light is the same thing as the Law of Heat or the Law of Light." (Book II, Aphorism 17) The form is the law which governs the process by which a quality is created out of its previous conditions, or how it changes. As Thomas Fowler puts it, it "may be defined as the law of the development or manifestation or production of any given quality or body." The consideration of the preconditions of a nature, along with the laws of its development, gives us the true meaning of "cause," and thus allows us to grasp the connections between "form," "law," and "cause." The "law" is how the form developed out of its pre-existing conditions, and the "cause" is both the conditions and the development combined. That's why Bacon also describes "form" as the source of emanation of a nature or its “coming-to-be”: the form is the law of action for the production of the nature from its pre-existing conditions. As Bacon understands the nature of things, bodies are composed of various simple natures, and thus knowledge of the essence of these composite natures is equivalent to knowledge of the cause of these natures. The implication for human power is that if we were to know the forms of the various simple natures that constitute a given body or substance, a person should be able to artificially reproduce the body in question by superinducing or adding on natures, one on another. In this sense, "form" is also a guide which explains the conditions under which the nature can exist, and thus guides the person in the artificial reproduction of that nature. Accomplishing such a task would complete the subordinate goal of human power: transforming a body. If you know the forms of a certain thing and how they can be superinduced upon one another on a given body, then you can turn any body into the body whose various natures and forms you already know. So, our next question is: what does one need to find out in order to discover the form? The bodies and effects we see daily have underlying causes for their existence, including causes that are too small or fast to be perceived, and Bacon terms these the latent processes and the configurations/structures of bodies. With all of this said, it’s time to finally discuss Bacon’s theory of induction, both what it requires and how it precedes. Bacon’s firmly held belief is that a certain method of induction is necessary to gain knowledge of the forms, which is the theoretical aim of all knowledge. The old form of induction would take sensory evidence of particular instances, and then immediately generalize to the highest principles, with no stages in the middle, and no attempt to cross-examine the evidence contained in the induction. Bacon’s form of induction differs radically from the old view, as the idea of “stages” in reaching the induction, and the need to examine the content of the induction, are presented as the hallmarks and touchstones of a proper induction. The stages of induction outline Bacon’s view of epistemology to a large extent. Sense-perception is the basis for all knowledge, including the knowledge to be obtained by induction. From our observations of nature, specifically from producing certain “tables” of observation and experiment, we can generalize to low-level axioms (principles), which Bacon calls “living axioms.” (Book I, Aphorism 104) These are not much different from bare experience, and from them one rises to “medial” or middle axioms; identification of these living and medial axioms is how we reason from perceptual data to the knowledge of forms, and to the fundamental laws of nature. These fundamental laws of nature are not abstract, as Bacon says is the common view: rather, they are the natures of which forms are their limitations. (Book I, Aphorism 104) Bacon is proposing a kind of induction that reaches higher and higher stages of generality, from piecemeal generalizations to the highest level of generalizations: from perception to low-level principles to middle principles to the highest principles and laws of nature. The old form of induction would only reach the highest and most general laws of nature, which was reached by immediately “leaping” from the facts of experience. Bacon proposes to discover the living, medial, and highest axioms with induction, and to prove them each as well. (Book I, Aphorism 105) Indeed, not only will he use induction to discover and prove axioms in general, but to form our very notions. The proof will depend on the natures which are rejected or excluded from the induction, and on the reasons given for the rejections, and then finally on stating the resulting generalization affirmatively. Like Bacon’s stages of induction and axiom-formation, the forms themselves have a certain hierarchy, meaning that the “union/unity of nature” has several stages. The lowest step of this union are physical resemblances among concrete bodies, such as the similarities in certain fossils and the skeletons of modern animals—these Bacon calls the conformable instances or instances of analogy, parallel, or physical resemblances (ibid., Aphorism 27); while they do not directly assist in discovering forms, they are very helpful in discovering the very fabric of the universe, and systematizing all that exists within it (such as grouping things together which have close resemblances). The next step higher is the resemblances among certain qualities of a nature’s form and the form itself, which are illuminated by constitutive instances. (ibid., Aphorism 26) While Bacon never explicitly speaks of an even higher stage than this in his work, I think we should note that the stage above resemblances between aspects of a lesser form and the form itself would be the relations between aspects of a great form (in other words, a lesser form, or “true difference”) and the great form itself (the genus)—precisely the object of a perfect induction, in Bacon’s view. Lastly, although this is only my own speculation, the highest stage of this would be the resemblances and relations of all the great forms, the highest laws of nature, which would lead to complete knowledge of the “unity of nature” and of “forms.” With that said, let’s now delve into the details of Bacon’s method of induction. If one can discover the form of a nature, then one can reach an axiom and a well-abstracted and properly defined notion of a nature, and thus one can learn how to produce and superinduce that nature on anything, anytime, anywhere. (John McCaskey, Regula Socratis [Rule of Socrates], p. 260) In order to accomplish this, Bacon presents a three-step procedure: the collection of an exhaustive “Natural and Experimental History,” the “Tables and Arrangements of Instances,” ordered so as to assist our reasoning faculty, and lastly, “Induction.” Due to the enormity of the first step of the task, which would have looked something like modern encyclopedias once completed, Bacon more or less bypasses this “history,” merely adding some guidelines for collecting one’s observations. The main focus of Book II of the Novum Organum is the presentation of the “Tables,” and the method of induction which works from those tables. What then follows is a list or table of occurrences of heat in very different bodies, such as the rays of the sun during a summer’s day at noon, burning thunderbolts, flames, boiling or even heated liquids, all bodies when near fire (even air), and the internal workings of all animals, whether we can feel their heat or not (like insects). Bacon terms these the “instances agreeing in the nature of heat,” and the table itself the Table of Essence and Presence. (Ibid.) Essentially, this is the “method of agreement,” of noting what is present whenever heat is present, without deciding yet what causes heat. In total, he lists 27 instances which agree with (in other words, possess) the nature of heat. Next, he produces a table of instances in which heat doesn’t exist, but does this in a limited context: unlike the Table of Presence, he doesn’t want to present a universal list of cases where heat doesn’t exist, since he believes that this would be endless. (Ibid., Aphorism 12) Instead, he will focus on the cases that are similar to the first table (of Presence) in the respect that the nature of heat manifested itself in them, and seeks to contrast them to very similar circumstances in which the nature of heat was absent. To the rays of the sun, Bacon contrasts the rays of the moon, stars, and comets, noting that these rays are not hot to the touch; to the positive instance of thunderbolts, Bacon contrasts certain flashes of light which do not burn and never accompany thunder. These are known as “instances in proximity where the nature of heat is absent,” and the table is called the Table of Deviation or the Table of Absence in Proximity. This is basically the “method of difference,” in which one notes what is absent whenever heat is absent, again without yet concluding on what causes heat. Bacon presents 32 instances of this sort, with at least one instance being contrasted with each affirmative instance of the first table. In the third step of induction, Bacon adds some precautionary remarks about heat, delimiting its specific difference now that the genus has been identified. Sensible heat is not the same as the form of heat, since it is really only the effect of heat on animal perception (what Bacon calls “animal spirits”), and even the heat we sense depends on the disposition of the sense organs, such as hot water feeling ice cold to the chilled skin on our hands. The communication of heat, or its transitive nature, is not the same as the form of heat because heat is one thing, heating is another; heat can be caused by rubbing things together without any preceding heat, which rules out heating as the form of heat, and in any event, the process of heating should be investigated in the more general nature of assimilation or self-multiplication, which is a different inquiry. Lastly, fire is not the form of heat, and even our notion of fire is ill defined, as we call “fire” both common flames and objects heated until they are red. The fourth and final step of induction (at least in this First Vintage) is to list the specific difference(s), or species, of heat, that which distinguishes heat from other motions and makes it the kind of thing it is. By presenting even more instances to support his conclusions (and even suggesting more experiments), especially by comparing it to the motions of the seeming opposite of heat, cold, Bacon reaches the conclusion that heat is a kind of motion with four specific differences: (1) It’s an expansive motion, (2) an upward motion, (3) a motion checked and exerted through the smaller parts of bodies, and (4) a motion that is rapid, and somewhat violent. The true definition of heat (not just sensible heat, but heat universally) is an expansive motion with an inclination to move upward, and it is a motion in the smaller parts of bodies that is restrained/checked, but is also rapid and violent (rather than sluggish). This is the identification of the species and genus, and is thus the true definition of heat, the true form of heat; the notion of heat is now well defined and properly abstracted, and is no longer an “idol.” We now have a true axiom regarding heat. Heat is now logically convertible with that kind of motion, in Bacon’s view: heat is that kind of motion. The aim of human knowledge now completed, the road is opened for the completion of the main and subordinate aim of human power: If you can excite in any natural body a motion of the kind described (i.e. if you can transform the body), then you can generate heat without fail (superinduce the nature of heat on that body), regardless of the nature of the body, so long as it is susceptible to that kind of motion. Induction requires the recognition that things have similarities as well as differences: otherwise, you’ll be surrounded by a world of differences, without any footing to reach any classifications or generalizations. 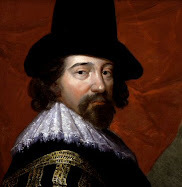 More than anyone in history, Francis Bacon presented the underpinnings of induction, its essentials, and its goal in relation to human life. His Novum Organum inaugurated the modern discussions and applications of induction, and had a strong influence over the rise of scientific research and methodology. 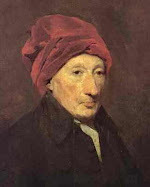 As perhaps the first person ever to link induction with knowledge, causality, and human power/welfare, he should rank among Aristotle, John Locke, and Ayn Rand in showing the practical benefits of philosophical thinking, and demonstrating the need for such thinking.